Learn how to repair Corrupted ADATA USB flash drive online .ADATA has released a Free Online Repair Tool for USB Flash Drives .Try the recovery tool on ADATA official Website . ADATA Company has released an online recovery tool to repair corrupted and unrecognized ADATA USB flash disk .ADATA USB online recovery tool can help users to restore the factory settings for ADATA USB sticks .The ADATA recovery tool identify the right firmware to repair your flash disk by using the serial number of the flash drive . ADATA online format tool can repair all corrupted models of ADATA Pen drive that have format errors such as write protected flash drive error ,Can't be formatted ,Unrecognized flash disk ,raw flash drive and other issues . If you got error message says "the flash drive needs format " . Connect Flash drive but files can't be read . Can't copy data to the flash disk . Warning : All Data inside the ADATA USB flash disk will be erased after using the online recovery utility , so please backup all data first . How to repair ADATA flash drive online ? You Visit the ADATA online recovery official website from here " ADATA Online Recovery tool " then follow our guide . 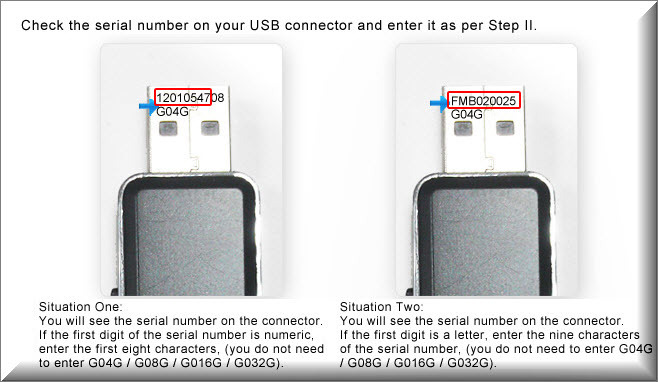 1 - You need to know the Serial Number of your ADATA Pendrive .To check the serial number please look to the Picture below . 2 - Write the serial number then write the number in the validation code then click Submit .ADATA will search on the it's USB software library about the right format software for your flash . 3 - After clicking Submit, the ADATA system will automatically search for the correct repair tool for you to download .Download The online recovery software . 4 - Insert your Corrupted ADATA USB pendrive to your computer . 5 - Run the online ADATA flash drive recovery tool called "ORU.exe " . 6 - The online format tool will automatically detect your flash drive information then you will have option to repair . 7 - To begin the repair process click YES (Y) . 8 - Wait until finish updating ADATA USB flash drive firmware .You will see the updating progress. 9 - If the formatting process succeeded , you will see this message "Repair Finished : OK " . 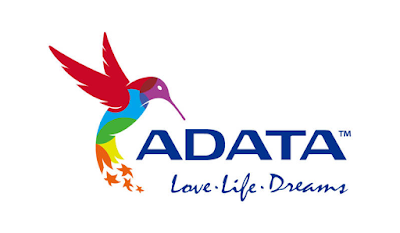 10 - If Repair process failed , please contact ADATA Customer Service from here " ADATA Customer Service " .Choose ADATA Technical Support from the menu . "More than one identifiable USB Drive"
but there is only my adata usb stick connected !! !